Bitcoin mining is no longer a feasible option for many of us. That's why crypto hopefuls should look into some of the easiest coins to mine instead. If there's one thing that cryptocurrency users love, it's the opportunity to mine cryptocurrency with ease. I mean, think about it. When you mine cryptocurrency, you're pretty much getting cryptocurrency for very little work. 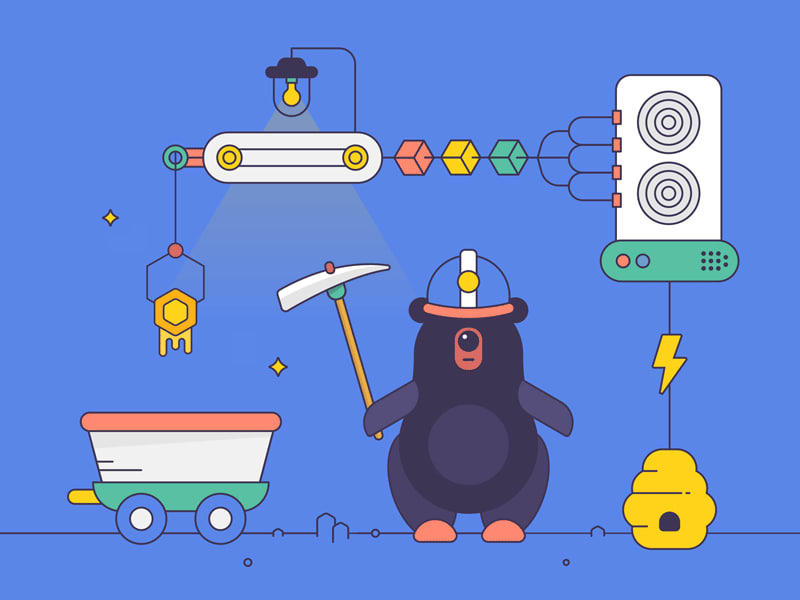 Depending on the cryptocurrency that you choose to mine, you could end up making hundreds or even thousands of dollars through your mining endeavors. The easier the digital currency is to mine, the more money you could make in a short amount of time. Years ago, Bitcoin mining was way easier. It was so easy, even casual users could mine it on their computers with little to no problem. Those days are long gone, though. That being said, you can still mine coins pretty easily if you choose the right currency. Here are some of the easiest coins to mine in the world of digital currencies. RavenCoin has slowly started to pick up a lot of clout among blockchain technology fans, and for good reason. Along with being one of the easiest coins to mine in terms of proof-of-work algorithm, RavenCoin is making some serious gains on the exchange. This will still need a mining rig to be done, but it's worth it. RavenCoin uses the X16R algorithm to get work done. This is a combination of 16 different algorithms, and that means a Nvidia graphics card is the best tool you can have to mine this. It's a good and profitable coin for intermediate to advanced users who want to get into potentially profitable mining. People who are looking for a mainstream coin that's still fairly easy to mine should definitely look into Ethereum. Unlike Bitcoin, that tends to have a very "chunky" proof-of-work algorithm, Ethereum has a lighter algorithm that's way friendlier to miners, and an ultimate guide to mining Ethereum for ease of access. Both AMD and Nvidia graphics cards can be used to mine this currency, which makes it pretty versatile. That being said, most people wouldn't consider Ethereum an easy coin to mine unless it's compared to other higher priced coins. Would I suggest this for beginners or intermediates? No, but it would still be fairly profitable. Monero is quickly reaching mainstream levels of use, despite the Monero malware-based theft that happened fairly recently. This coin became popular because it's traceless, anonymous, and secure as far as transactions go. Miners adore Monero, and they have every reason to. You don't need a graphics card or any special processor to mine this one. All you need to do is download software onto your computer and let the Monero mining software do the work for you. That's right—you can mine one of the pricier coins on the market with your own laptop! That makes it one of the easiest coins to mine for beginners. If you're green to the cryptocurrency scene, you probably haven't heard of Aeon. This relatively new digital currency was designed with ease-of-mining in mind. You can thank its Cryptonite-light PoW, which offers up three times a normal hash rate. So far, Aeon hasn't been getting problems from ASICs quite yet. This means there's still ample time to mine away currency without having to worry about hardware prices. Once started as a meme and a joke, DogeCoin has become a somewhat popular cryptocurrency to add into portfolios. Sure, it may not be worth as much as other coins in the digital sphere, but it still remains one of the easiest coins to mine on the net. You can mine this one on your computer's CPU, using CPU Miner. It really doesn't get much easier than that. Now that widespread criticism has started to arise over the increase in large scale cryptocurrency mining, some smaller digital currencies decided to put the kibosh on it. Vertcoin is a good example of a coin that's focused on small-scale miners. Vertcoin is meant to be the "peoples' coin," and is designed to stick to small-scale operations. The developers made a program that allows users to mine it via their CPU and their GPU. Because it's so light on your processor and so easy to attain, it's one of the easiest coins to mine right now. Well played, Vertcoin. Well played! ByteCoin is another someone new cryptocurrency that has been making waves due to its easy mining process. Much like Vertcoin and other list members, ByteCoin is mined by downloading a wallet and letting the program run on your computer. With ByteCoin mining, you can do it solo, use a GPU, or join mining pools. It's up to you how you want to maximize your goods. Its versatility makes it a good choice for people who like to mine on their own terms. Can you write a sentence? Like, any sentence at all? If you can, congrats! You can now mine Steem on Steem.it. This is a platform that awards users in cryptocurrency called Steem for high quality written content on any topic imaginable. Users give you Steem when you write an amazing article. You get to award other users Steem as well. Overall, it's one of the easiest coins to mine because it requires ZERO technical knowledge to mine. At only two years old, Electroneum is as "green" to the cryptocurrency exchange as you can get without it appearing as awkward as an ICO (a reason why ICOs are a bad investment, but I digress...). This new altcoin is expected to do fairly well in 2019 because of its CryptoNote algorithm—not to mention it is built to be ASIC resistant. So far, people have been able to mine Electroneum on their CPUs, using GPUS, and even on their mobile phones. Don't worry, Electroneum won't eat up your bandwidth; it might, however, give you a little extra jingle in your pocket. SweatCoin is an interesting concept that is part-crypto, part-workout coach. It's a program (and currency) that awards people for walking outdoors. When you earn enough Sweatcoins, you can use them to buy cool lifestyle products. If you've been tinkering with the reasons you should invest in crypto now but have been finding the tech aspect pretty hard to handle, then take a look at the Sweatcoin app. The payout won't be too high, but because it's one of the easiest coins to mine, it will make blockchain more accessible to you.